Call 952-500-8159 For Professional Legal Help! What are Streamlined Domestic Offshore Procedures? Streamlined Domestic Offshore Procedures (sometimes abbreviated as “SDOP”) were created by the IRS on June 18, 2014. Today, this is one of the main voluntary disclosure options for US tax residents who failed to timely and/or accurately disclose their foreign income and foreign assets, including failure to file accurate information returns such as FBAR, Form 8938, Form 5471, Form 8621, Form 3520, Form 926 and other related US international tax forms. Who can Use Streamlined Domestic Offshore Procedures? These Procedures is a voluntary disclosure option open to all US taxpayers who can meet the SDOP eligibility requirements. What are the Advantages of Streamlined Domestic Offshore Procedures? The Procedures allow non-compliant non-willful US taxpayers who meet the SDOP eligibility requirements to bring their US tax affairs into full compliance through a simplified compliance procedure and payment of much lower Title 26 Miscellaneous Offshore Penalty than under the OVDP. What are the Main Eligibility Requirements of the Streamlined Domestic Offshore Procedures? In order to take advantage of the Procedures, US taxpayers must meet three main eligibility requirements – US tax residency, non-willfulness and absence of IRS examination/investigation. Read this article on SDOP Eligibility Requirements for more information. Your eligibility for SDOP should be determined by an international tax attorney who is experienced in the area of offshore voluntary compliance. Who Can Help Me Understand, Prepare and File My Voluntary Disclosure Using Streamlined Domestic Offshore Procedures? You should contact the experienced international tax firm of Sherayzen Law Office. International tax attorney Eugene Sherayzen and his team will help help you understand SDOP, evaluate whether you meet the SDOP eligibility requirements, prepare and file all of the legal and tax documents required under SDOP, and defend your voluntary disclosure position(s) against the IRS in case of a subsequent audit. The tax attorney services provided by Mr. Eugene Sherayzen were excellent. Years of paying too little attention to the complicated tax laws regarding foreign accounts, funds and companies lead to a complex situation. Mr. Sherayzen quickly understood the issues and found efficient solutions. I highly recommend Mr. Sherayzen and his law firm. Mr. Sherayzen assisted us in resolving some tax issues related to foreign accounts. We are completely satisfied with the services he provided and would highly recommend him to anyone needing help in this area. Mr. Sherayzen is very knowledgeable and handled our case in a timely and professional manner. He is also a very nice person, who we believe genuinely cares about helping his clients. The tax laws on foreign accounts are extraordinarily complex, particularly with regard to mutual funds. My wife and I have been extraordinarily impressed by the expertise and professionalism of Mr. Sherayzen. He found the very best way of approaching our own specific situation and handled everything in an extremely precise, thorough way. His totally above-board, scrupulously honest way of the dealing with tax issues is undoubtedly building a very high reputation with the tax authorities, and this can only benefit those who are fortunate enough to be his clients. 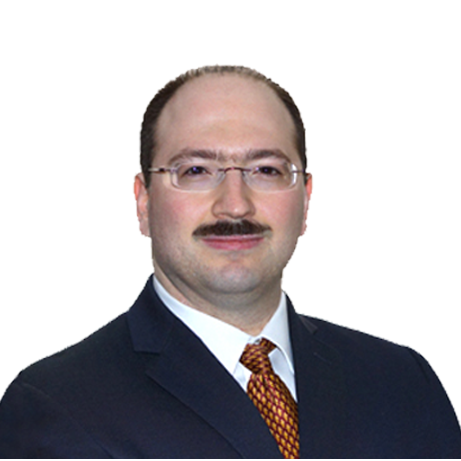 Mr. Sherayzen is a subject-matter-expert who is very thorough in gathering complete information, and based on that, provides options and next steps related recommendations. Mr. Sherayzen is very intelligent and is analytical and rational in addressing the issue at hand. He exercises discipline, structure, and rigorous determination in his thinking. At the same time he has exhibited remarkable rational skills in working with people from different backgrounds. He has the ability to listen and he is flexible. I highly recommend Mr. Sherayzen and his law firm, Sherayzen Law Office. “My wife and I engaged the services of Eugene Sherayzen in 2009, feeling very apprehensive as we were by no means familiar with legal processes. He very quickly made us at ease with his friendly manner and also added to that ease with his professional expertise and obvious knowledge of the legal situation relative to our case. He scheduled our meetings to not only cover the steps necessary, but also efficiently, so as to be aware of costs in what is after all an expensive process. At the start we had engaged an attorney and by the finish we had gained a friend. I would recommend Eugene Sherayzen not only as an efficient and professionally knowledgeable attorney but also as a person who can empathically guide clients through stressful and difficult situations”. Maitre Eugene Sherayzen , merci de votre travail excellent et de votre expertise concernant les issues FBAR et “voluntary disclosure ”. Being a Swiss citizen living in the USA , Maitre Sherayzen helped me with my situation in a way that was outstanding. Beside his professional brilliance he can also read documents in French and other languages and understands the cultural differences between countries . Maitre Sherayzen you are a gem! I will recommend his law firm to anyone who needs a fantastic attorney in international tax law. Delay May Lead to Premature IRS Discovery and Imposition of Penalties.